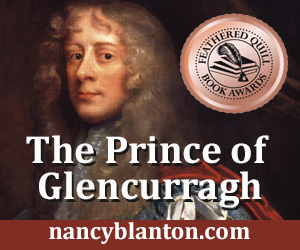 I returned recently from a week’s visit to Ireland to research my new book, working title Glencurragh, set in County Cork. While there, I was fortunate to stay with friends in the Bandon area. We had several wonderful meals together and each featured the traditional brown bread of Ireland. On parting, my friends gave me a book, The Complete Irish Pub Cookbook, knowing how much I like pub grub and in particular the bread. Note: While both versions are made with baking soda, Irish Soda Bread is white, while Irish Brown Bread is made with whole wheat flour and is brown. The photo above is my first attempt at it from the book’s recipe, using white and whole wheat flour, oatmeal, baking soda & salt, buttermilk and a bit of molasses (in place of treacle which wasn’t available where I shop). Though slightly burned on top it is still chewy and delicious, especially slathered generously with Kerrygold Irish Butter. Do I need to write anything else here? Well, you may be pleased to know Americans are not the only ones who enjoy eating first, and then worrying about their weight after. In the kitchen of my friends Teresa and Eddie, there was talk about who weighed how many stones. I had not realized that, with the metric system firmly in place, people still talked about weight in the ancient way, in terms of stones. Apparently it is common practice in Ireland, the UK and parts of Europe. A standard measure is according to a standard market item, wool (everyone has an Irish wool sweater, right? ), and a stone’s measure of wool equals 14 pounds. So that would mean I weigh, oh, well, you know, several stones anyway. Thomas Jefferson once proposed that the United States adopt a decimal system for both currency and units of measurement. He got the nod on the first idea as we know, but not so much on the second. Although the idea of "getting stoned" did pick up some currency. And in case you were wondering (you weren't but…), a sack is a unit of wool weighing 28 stone, which thankfully weighs a whole lot more than me. Much more valuable details can be found here. Stay tuned! As the jet lag fog continues to lift there’ll be more stories from my visit to the Emerald Isle.